The tradition of celebrating World Backup Day started in 2011. Since then we remind ourselves of the importance of backup, whether for a personal or corporate need. 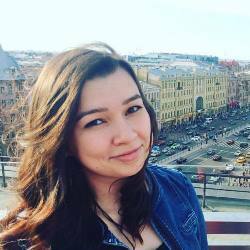 Nowadays, the amount of data grows dynamically. According to reports from IDC, the data is doubling in size every 18 to 24 months. And its loss may cause huge financial issues for a business user or just lots of tears for an individual. So it’s dramatically important to use a backup solution these days, whether you are working with your business data or some personal information like family photos. No matter what type of data you have, it has to be backed up. As they say, an ounce of prevention is worth a pound of cure. 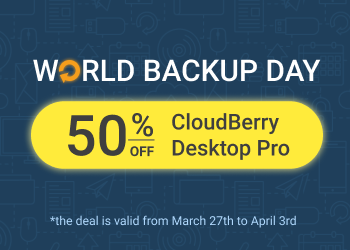 50% discount for our CloudBerry Backup Desktop PRO solution for Windows, Mac, Linux! The offer is time-limited and it expires on April 3rd so if you miss the discount, you would probably have to wait a year more till World Backup Day 2020 comes. CloudBerry Backup does not come with cloud storage. Instead, you are free to choose over 30 different cloud storage providers or a local backup destination—a hard drive or a NAS. The list of cloud storage providers includes Amazon S3 and Amazon Drive, Microsoft Azure and Microsoft Drive, BackBlaze B2 and Wasabi Hot Storage, and others. Grab the license and save your data for good! Happy World Backup Day!